Valentino Rossi says he’s left the first test of the 2016 season pleased with his progress despite two big shake-ups in the form of both a control electronic and rider aid package and the switch from Bridgestone to Michelin tyres. Working primarily to adapt the set-up of his M1 from one tyre to another, the nine-time champion says that he’s positive that they can make the French rubber work for him. “We tried to understand the tyre and I was always quite fast. I’m quite happy because in the afternoon my lap time was not so bad. 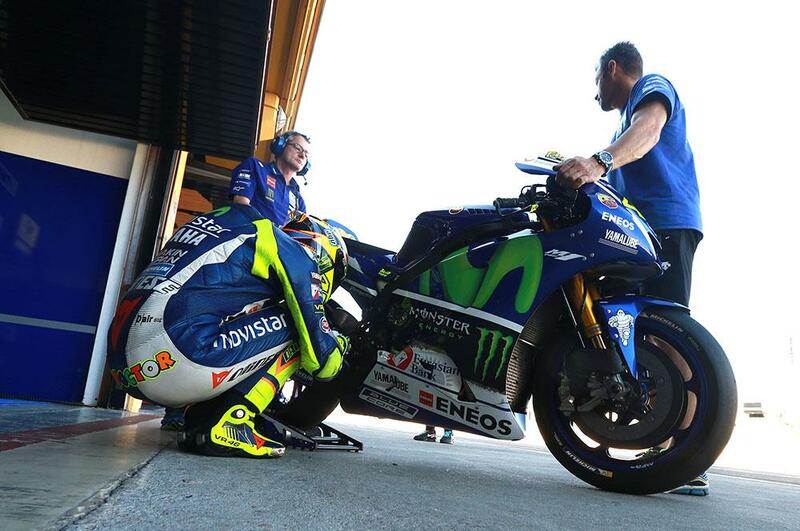 We improved a lot the bike compared to the first day and the tyres, especially the front, give a better feedback. This is the most important. The Movistar Yamaha rider was also less negative than most about the new control electronics, saying that while they’re a huge shock to many of the grid, the new system is a case of back to the future for him.